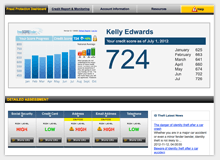 Where does your Credit Score stand? Good credit is a valuable asset that helps you access more affordable options for purchasing and financing the things we need in life. Getting your free credit score can be a great first step towards reaching your goals and making sure you and your family are getting the best you deserve.